Continued from the previous post. Sorry, but I didn’t have enough room to share with you the Monastery of San Francisco. The Monastery is a huge complex where the Franciscan Monks lived and studied. In it’s day this must have been a spectacular place, it appears to be a bit run down now, which is a real shame. 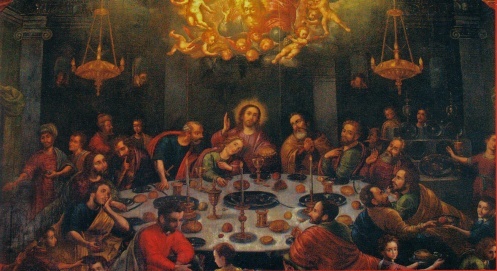 However it appeared as though some restoration work was beginning. 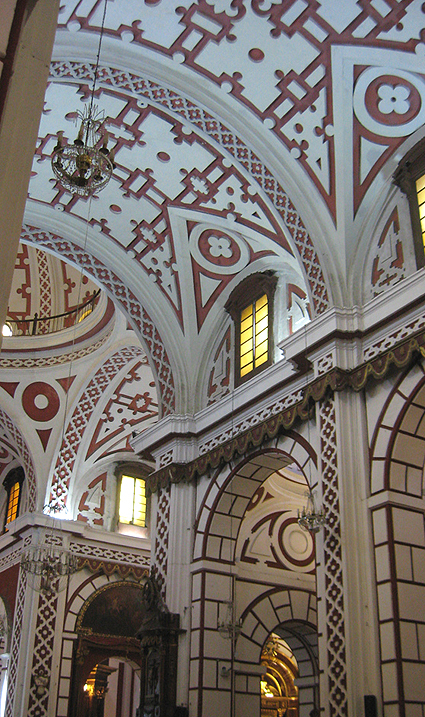 The Iglesia de San Francisco (Church of Saint Francis) is the most visited church in Lima, and with good reason. 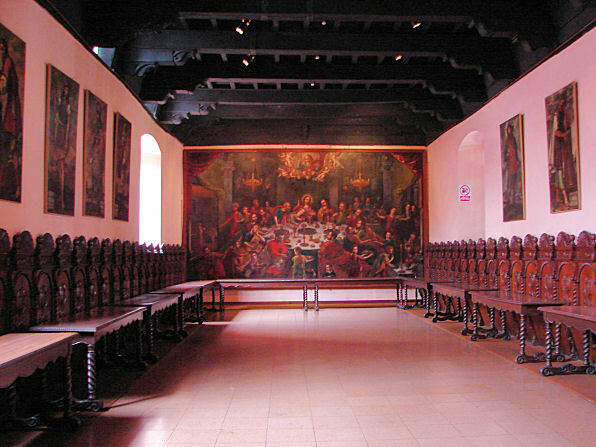 It is considered by some to be the greatest architectural complex in Latin America, named a UNESCO World Heritage Site in 1991. Building started in 1542 it would take nearly 100 years to complete it. 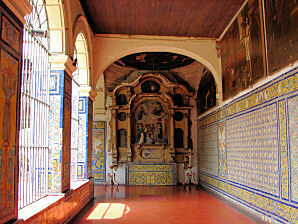 Along with the Church of and Convent of San Francisco, it also includes Chapel of the Solitude and the Miracle. 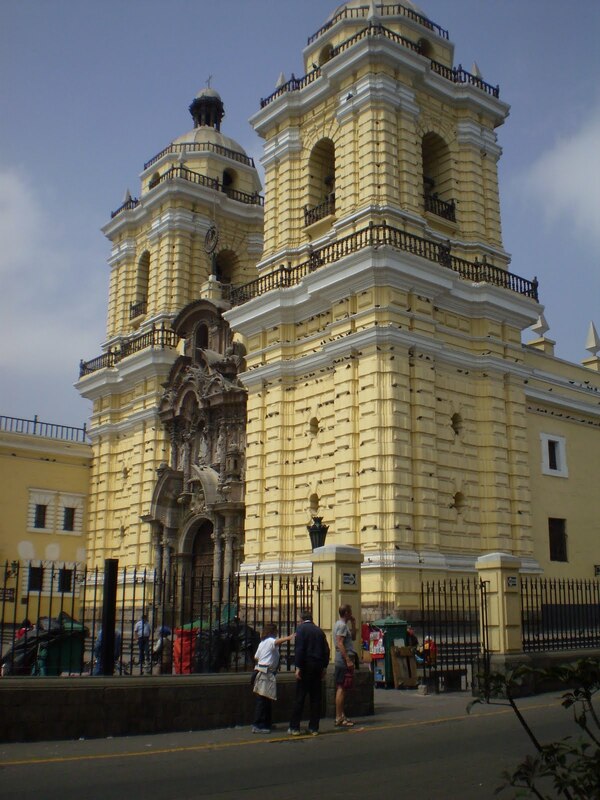 The attractive yellow church is considered the best example of the “Lima Baroque” style of architecture. 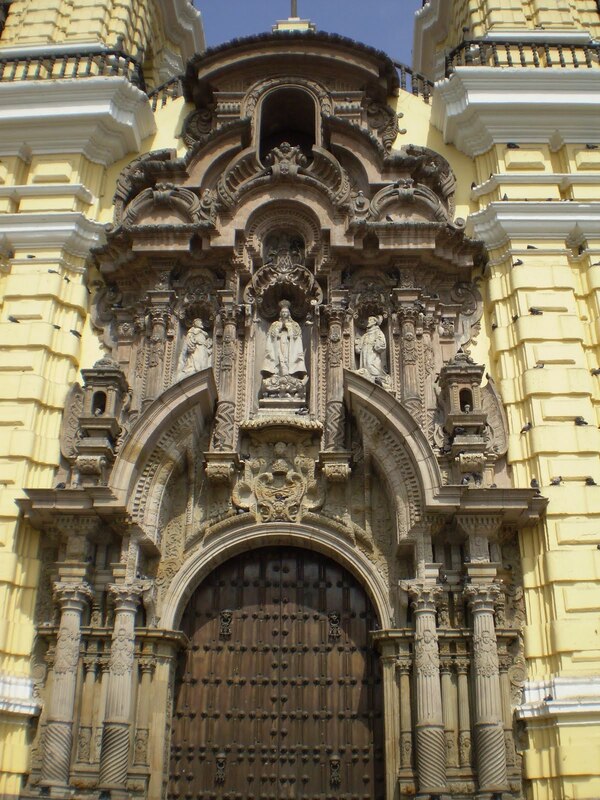 The handsome carved portal would later influence those on other churches, including the Iglesia de la Merced. The central nave is known for its beautiful ceilings painted in a style called mudejar (a blend of Moorish and Spanish designs). 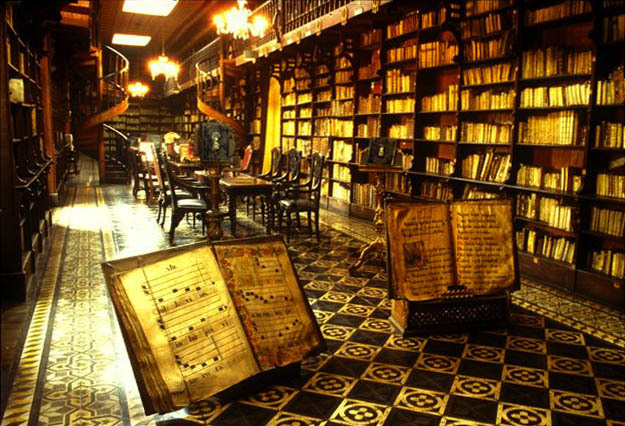 On a tour, you will see what is considered to be one of the worlds foremost libraries filled with 17th century works. 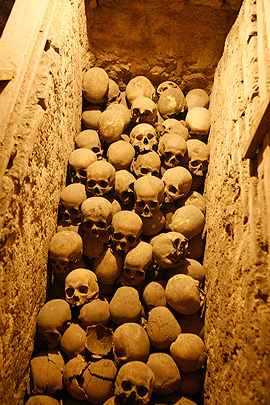 One of the best part of a tour is a visit to the vast catacombs. 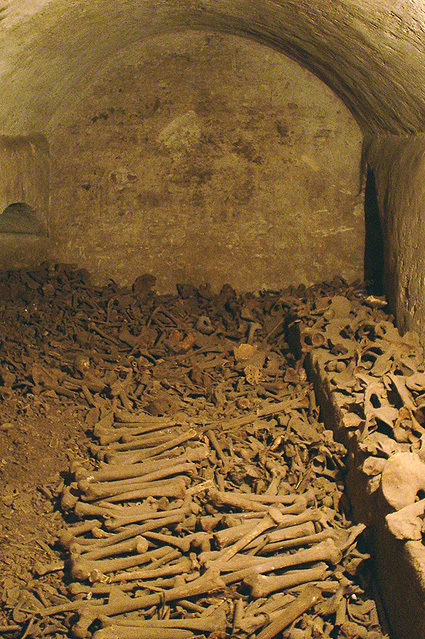 The city’s first cemetery, there is much debate on how many people were actually entombed in these catacombs, some say 25,000 while other put the number more near 75,000. 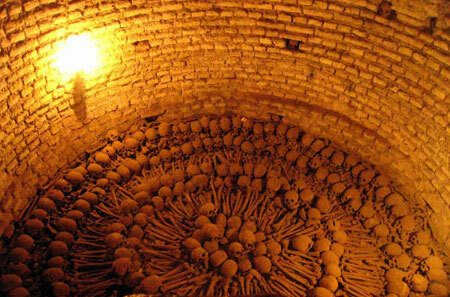 In many places the bones have been stacked in strange and creepy geometric patterns. I am still not clear why that is. 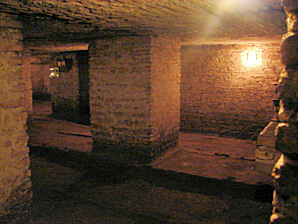 The catacombs are absolutely fascinating to me. 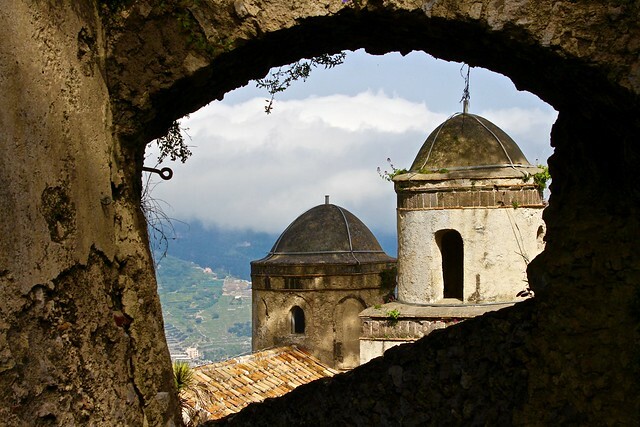 Underneath this Monastery lies a labyrinth of caves and walkways. I don’t know how far they actually go because some entrances were closed off, but where you could go and what you could see was both amazing and creepy. 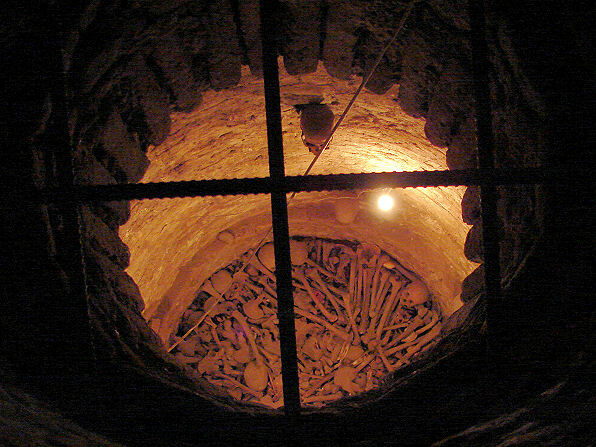 Throughout the Catacombs lay thousands, maybe hundred’s of thousands of human bones. All of them were laid out in bin like holders, what I found really interesting is that the majority of them were not just tossed about, but neatly placed. I am no Doctor, but mostly what I saw was skull’s and Femur’s, but not much else, I was taken by that. Where are the rest of the bones? Why have these bones been preserved? 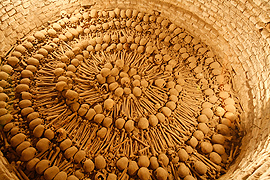 In one particular “Grave” the skulls are arranged in concentric circles separated by other bones, stacked layer upon layer upon layer, some say as much as 30 feet deep. What does this mean? It’s a strange way, as if they were meant to say or stand for something specific. One of the other really fantastic places to see is the Franciscan Library. This room was mostly roped off, you couldn’t just walk around it, but we did go in, it looks as if it hasn’t been touched in 100’s of years. Floor to ceiling book shelves, filled with centuries old books, dating back to the 17th century. I would have loved the opportunity to just walk along the shelves and look at the spines of these old manuscripts; I am sure I wouldn’t have a clue what they said though. By now our day is coming to a close, our cab is scheduled to pick us up at 4:30, then back to the hotel for a few cocktails. It was nice to just spend some time with Judith and Peter back at the hotel over a bottle of wine before dinner. Our trip is coming to a close, one more day then we are off to the U.S. to resume our normal lives. I am sorry but I am unable to fix the problem you requested. In fact I have the same issue on my end. I believe it is a wordpress issue.